By some estimates, shoulder pain in the United States affects as many as 67% of people over the course of their lifetime. Through an intricate framework of muscles, tendons and ligaments, the shoulder is the most mobile joint in the body. Yet, some believe that this comes at the expense of stability. In other words, the range of motion of the shoulder joint combined with everyday wear and tear makes the joint more susceptible to injury. 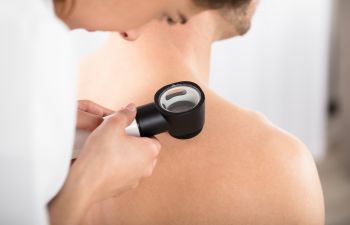 One of the most common problems associated with the shoulder joint is inflammation, which professionals might diagnose as bursitis or tendonitis. Perhaps the more proper term is shoulder impingement syndrome. When experiencing pain from shoulder impingement syndrome, traditional treatments include rest, withdrawing from certain activities, anti-inflammatory medications and/or physical therapy. Others include cortisone injections. However, because shoulder pain varies for each person, the most effective treatments necessitate an individualized approach. Renowned Orthopedic Surgeon, Dr. Kerisimasi Reynolds brings a unique skillset to the treatment of complex shoulder conditions. With extensive training and expertise in cartilage restoration, joint preserving realignment osteotomies, shoulder joint instability, rotator cuff surgery and shoulder replacement, Dr. Reynolds is fellowship-trained in sports medicine and advanced arthroscopy of the shoulder, knee, elbow and hip. As such, he maintains a practice focus on minimally invasive methods of repair. If you are suffering from shoulder pain, do not wait. Contact the practice of Dr. Kerisimasi Reynolds today.